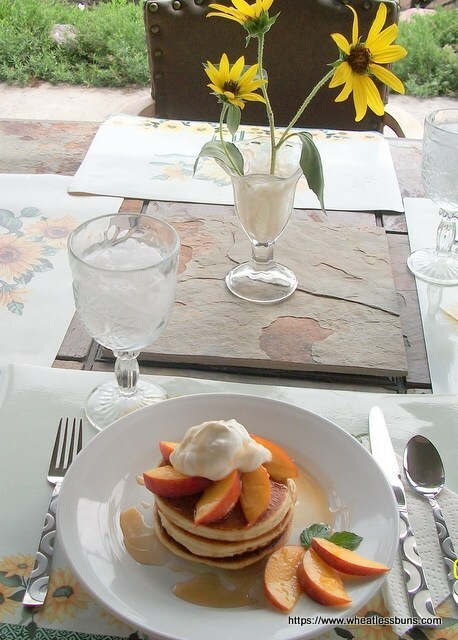 Last Sunday I was craving some pancakes with fresh peaches. Unfortunately, most of the gluten free, low carb pancakes I've made turn out flat and soggy, especially after adding the toppings. If I'm going to eat a mushy pancake, I might as well skip the cooking process and just eat the batter with some syrup on it! ...yum!! ;-) Anyway, this is what I came up with--and they are the bomb! Note: You may want to double this recipe. It will make approx. 4 - 5 small pancakes. Keep the finished pancakes warm while cooking the remainder. 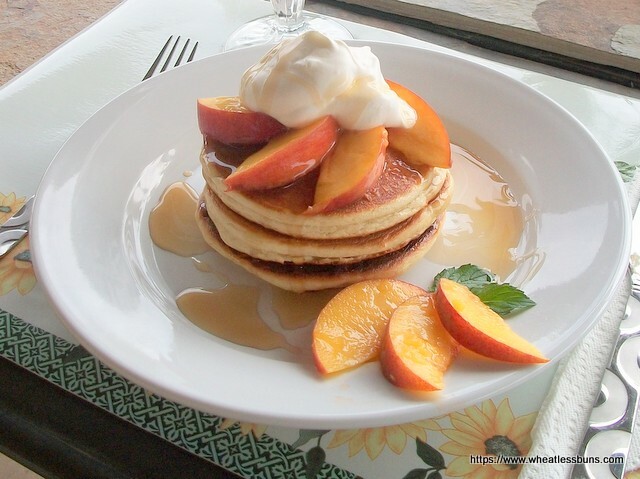 with a low-carb sugar substitute, and sugar-free maple syrup.